I loved all of the characters in Case Histories. Character is what Atkinson is all about. The various strands of the story proceed in fits and starts, rubbing up against each other and interweaving, but they're always related from the perspective of a particular character. Not in the first person, mind: Atkinson writes here in the omniscient third person. But she does get inside the heads of her characters brilliantly, so that a lot of the events in the book are related by people looking back on those events and attempting to interpret them, or experiencing them now and trying to interpret them as they go along, with all the intellectual and emotional muddle that entails. 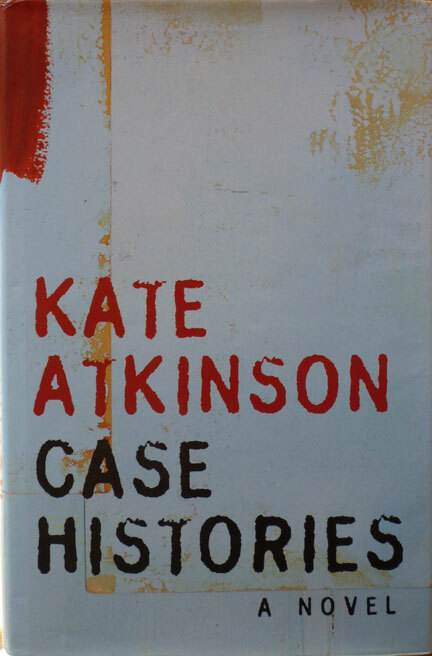 Atkinson's secret is, she writes how people think. So, say, Theo, whose daughter was killed ten years ago (one of the case histories of the title), might be doing one thing but thinking another, or rather doing one thing that sets him thinking about another. Atkinson follows that thought process, sometimes revealing clues along the way, or at least hinting at them, sometimes just filling in background. At one point, private investigator Jackson Brodie – our ostensible hero, although the likes of bereaved sisters Amelia and Julia get just as much page time – visits Amelia and Julia's other surviving sister, Sylvia, in a convent. Sylvia has taken the name Sister Michael, which sets Jackson off ruminating on why high street store Marks & Spencer use St Michael as the name for their own-brand goods. It's the kind of inconsequential connection one's mind makes all the time, the sort of mental sidestep that can lead to inspiration or, just as likely, an interesting but ultimately useless cul-de-sac. Both eventualities are in abundance in Case Histories. Towards the end of the novel, unexpectedly it becomes really funny, so much so that I laughed out loud a couple of times. Jackson in particular comes into his own in the second half of the book: he's increasingly put-upon and disaster-prone, lurching from humiliation at the hands of his ex-wife and her new partner, to being mugged (or not, as the case may be), to having his house blown up – a turn of events that stopped me in my tracks it was so unexpected – much of which results in repeated trips to the hospital. The final revelations of the three main case histories don't come as much of a shock; I'd guessed most of them by that point anyway. 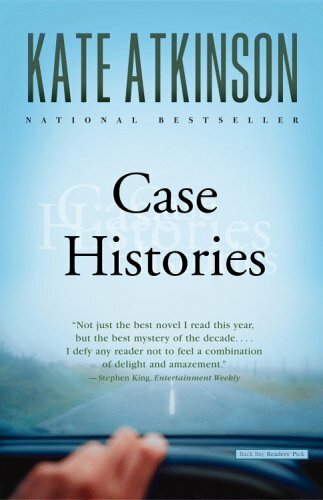 But that doesn't matter: as ever, it's the journey that's important, and Case Histories is a winding, complicated excursion in the company of a disparate bunch of messed-up people who you nevertheless really wouldn't mind hanging out with again. Part one of the TV adaptation of Case Histories is on BBC One on Sunday June 5 at 9 PM. And in other programming news, I finally started watching The Night of the Hunter - inspired by your recent postings. You wouldn't believe all the great films I've missed. Its embarrassing. Yes, I spotted it was due to start in yesterday's Guardian Guide. Will it be on over your way too? I doubt you'll be disappointed in Night of the Hunter. Once seen, never forgotten. Mind you, it's not really a personal favourite: it's a hard one to love. Intrigued by the confessed gaps in your film-watching. What else you missed? I have no idea when or if C H will run here. Probably not for months. I will watch it courtesy of the internet. I've never seen any of The Godfather movies. I'm loathe to admit it but I've never seen Psycho (though I now have it on DVD and got David Thomson's The Moment of Psycho for xmas so I will see this in the near future.) (I have seen Rope, though, which you just blogged about.) Citizen Kane. Casablanca. The Maltese Falcon. Dr. Strangelove. The Matrix. Shawshank. Any Lord of the Rings. Roshomon. The list goes on.